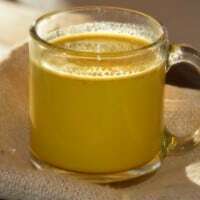 Golden Turmeric Milk is an age-old home remedy for an impressive list of ailments like cold and flu symptoms, joint pain, ulcerative colitis, and indigestion. Turmeric (Curcuma longa) possesses circulation-boosting properties and is both a natural anti-oxidant and anti-inflammatory. Recent research shows that turmeric can help improve your mood and your memory. That’s due to its impressive anti-inflammatory properties. A friend said a nightly cup had greatly helped with her carpal tunnel syndrome. Turns out, it’s also helped people with arthritis like mine. Although I’m grateful for modern medicine and a supportive rheumatologist, my pain meds make me nauseous, so I avoid taking them for all but the worst flares. After reading about the various benefits of turmeric, I decided to start getting a daily dose of it. Though it’s available in capsule form, I’m not very good at remembering to take pills. 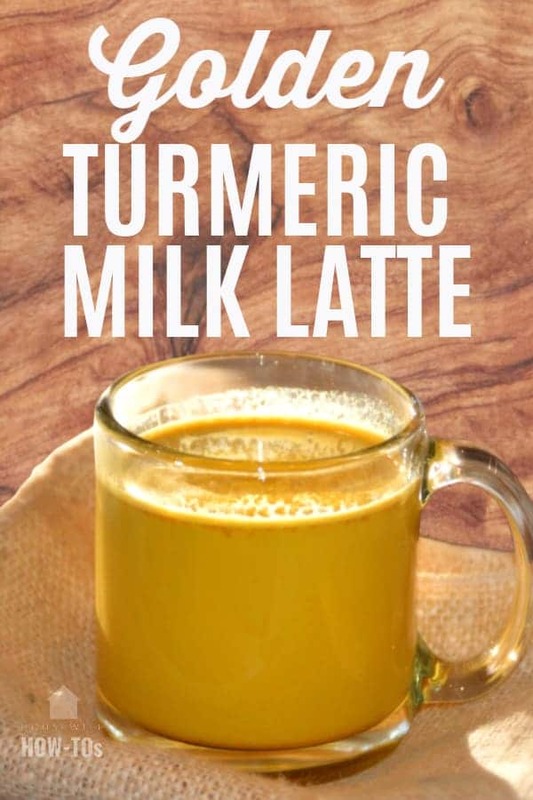 So, I searched the internet for other ways to get more turmeric in my diet and ran across various turmeric latte and turmeric milk recipes. The one that I tried tasted vile. Still, I forced myself to drink it for five straight nights. Sure enough, I noticed less joint pain and swelling. I slept better, too. That convinced me that I needed to experiment until I came up with a delicious one on my own. 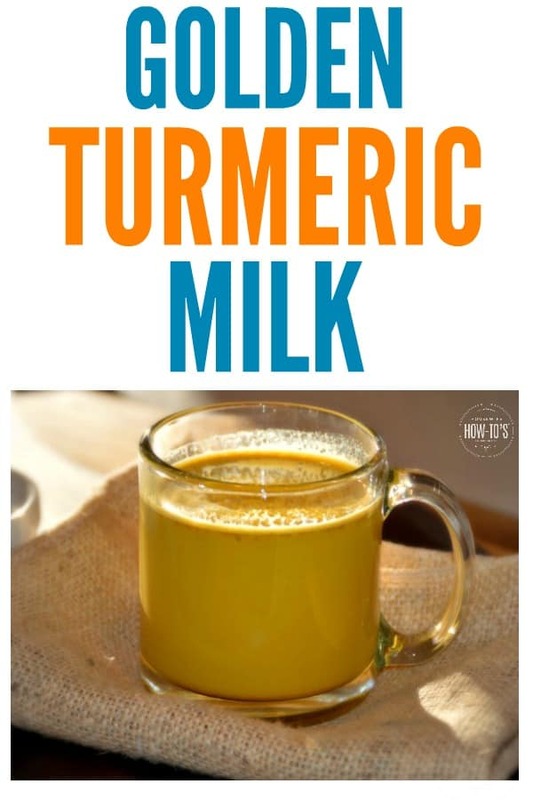 This recipe is the result, and the combination of turmeric’s properties and warm milk make it a fantastic pre-bedtime drink. Having added some other spices, plus honey and vanilla, it tastes more like chai than the first unpleasant turmeric milk I’d tried. I enjoy it so much that I sometimes have two cups and tell myself that the extra calcium and Vitamin D in the milk justify the calories. This recipe makes enough spice mixture for at least three servings. Store it in an airtight container to keep the spices fresh and add 1 teaspoon to an 8-oz cup of milk for each serving. Please be careful while making it — turmeric is also traditionally used as a fabric dye, so you’ll want to keep it off of your counters and clothing. Don’t omit the tiny amount of black pepper. You won’t taste it, but the piperine in black pepper helps increase turmeric’s bioavailability, so you’ll enjoy more of its anti-inflammatory and anti-oxidant benefits. Turmeric milk is an ancient treatment for coughs, headaches, joint pain and skin problems thanks to the spice's anti-inflammatory and anti-oxidant properties. Combined with cinnamon, ginger and other spices, it becomes a soothing and delicious drink that's good for you, too! Add honey and vanilla extract (if using) to taste. The spice mixture makes enough for three servings using one 8-oz cup of milk each time. Can you use tumeric from the spice section at grocery store. Absolutely, Barb! That’s where I get mine. I bet you need a bit more honey in it, Gert. With enough, it’s a very soothing, yummy drink. Takes about a week to start noticing the benefits, though. I am so glad you have come up with a pleasant tasting version of the milk and turmeric basic version used in India for ages as a basic tonic. For colds and cough, ginger and honey plus another spice called ajwain in India, is used. Your recipe might help me to convince my grandchildren to try it! Thank you! It’s such a delicious, healing drink. No wonder it’s been a staple of Ayurvedic medicine for so long! I just made this for the first time. It was delicious!! Thank you so much for posting a recipe that didn’t require a trip to another store! I don’t keep coconut oil around and every other recipe I found called for it. I have Lupus and really dislike having to take so many pain and anti inflammatory meds. Can I ask how long until you started to feel like it was helping? I just drank my cup and I do feel sleepy, but warm milk does that to me. 🙂 Thanks again!! I’m so glad you enjoyed it, Jill! Turmeric is an excellent anti-inflammatory. As someone who has joint problems of my own, I use this tea at night and take a turmeric capsule in the morning. It took about a week before I really started noticing a difference. Although I’m still taking anti-inflammatory/pain relievers, I’m now able to take a much lower dose than before. I hope it brings you relief, too! I need to try it before I rate it but it sounds good. I’ve never had rice milk before, but if it’s good warm then it should work beautifully in this recipe. Any dairy alternative that can be used?? I’ve made it with unflavored soy milk and it’s great! I’m encouraged by your success with it. Hope I get good results too…. It’s really made a difference. Feel free to adjust the spices to your taste, too! Hi, I cannot take the pepper because of my skin inflammations. Can I leave it out completely? If you’re allergic to pepper then please leave it out. You might not get as much of the anti-inflammatory benefits, though, since one of the compounds in pepper helps to “unlock” the anti-inflammatory properties of turmeric.